A man from El Salvador, who’s married to a U.S. citizen, was supposed to have an important immigration hearing in early January. He was set to get his green card. He and his wife were thrilled. “And it didn’t happen because the government shut down or at least partially shut down,” says Camille Cook, the man's Fresno-based immigration attorney. The government has been partially shut down since December 22. Immigration courts have been closed and thousands of cases have been cancelled. Cook says this client is currently on Temporary Protected Status or TPS, but that’s about to expire for all Salvadorans in the U.S. in September. She says the judge even went out of his way to schedule the man’s case before then so he’d have permanent residency. “The clients have absolutely no idea when the case will be reset and if the judge will be able to find time on his calendar again before the end of September this year,” Cook says. Outside immigration attorney Camille Cook's reception office in downtown Fresno. The timeliness of immigration hearings is crucial to whether people can stay in the U.S. But the huge backlog of these cases is growing daily because of the shutdown and that means thousands of lives remain in limbo. “Having absolutely no idea whether it will be tomorrow or next month is what makes it so difficult, in fact, impossible to advise my clients on what to do,” Cook says. People with pending immigration cases have no other choice but to take it day by day, and that could get tricky and inconvenient because going to immigration court means taking the day off and traveling all the way to San Francisco. “If you’re in San Francisco or the Bay Area that might not be that big of a deal, but for those of us in the Valley where it’s an all-day trip, it would be nice to know with a little bit more notice, but that’s not going to happen apparently,” Cook says. “So of course we tell our clients, assume the hearing is going to go forward, be prepared, ask for time off work if you need to, make arrangements, get your travel all prepared,” Brown says. But predicting when the longest government shutdown in history is going to end is impossible. So far, more than 40,000 immigration cases in the nation have been canceled because of the shutdown, according to data from the nonprofit Transactional Records Access Clearinghouse at Syracuse University. Brown says there was already a backlog before the shutdown and some of his clients have waited up to three years for a hearing. If a hearing gets canceled, the client has no idea when a new one will be set. He says some clients may have to wait another few years. 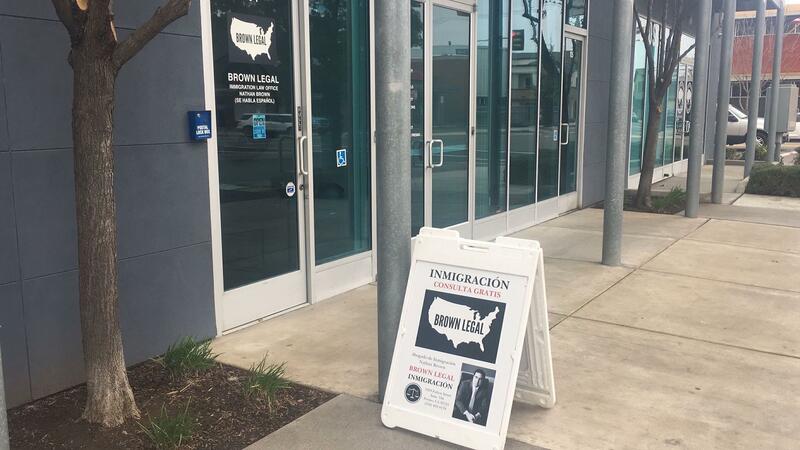 Outside of immigration attorney Nathan Brown's practice in downtown Fresno, Brown Legal. Ashley Tabaddor, an immigration judge who can only speak in her capacity as the president of the National Association of Immigration Judges, says the shutdown is a “huge disruption” to the whole immigration system. One reason is the judges will have to do a lot of rescheduling, she says, and the stacks of documents waiting for them are only getting higher. “Judges need to be able to review those files and figure out, ‘So what are we going to do with them now? Do these cases need to be scheduled earlier, later? Is there anything special I need to be mindful of? What is in the middle of a trial?’” Tabaddor says. If a judge decides to prioritize a canceled case, Tabaddor says, and schedule it sooner, then that means another case has to get bumped. So even cases that aren’t being canceled during the shutdown might be rescheduled later. Since this is a partial government shutdown, immigration cases for people in detention centers are still being processed. But, there are far fewer of these cases, Tabaddor says, so the majority of cases are still at risk of being canceled. Meanwhile, some immigrants are benefitting from the shutdown, says Fresno attorney Jeremy Clason. This includes people in deportation proceedings who don’t qualify for any type of legal residency. "So the government shutdown is causing delay that actually helps them by virtue of simply delaying the judge's decision to deport them," Clason says in an email. Some people have weaker asylum cases that are harder to prove than others, Clason says. 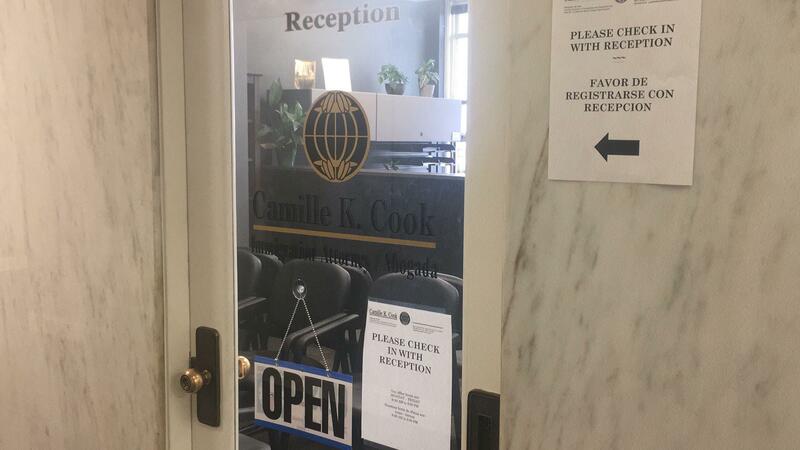 So the longer the shutdown lasts, the longer their cases are delayed and they get to stay in the U.S.
For Attorney Camille Cook, she says she’s been through government shutdowns before, but not to this extent with so many cases canceled. “So yes, this is very unique and this is far worse than we’ve ever seen before,” Cook says. Cook says she has several cases that are supposed to go before a judge this week but whether they’ll be heard, well, she’s not holding her breath. For the record, the law firm where Jeremy Clason practices, The Yarra Law Group, is a community sponsor of Valley Public Radio.